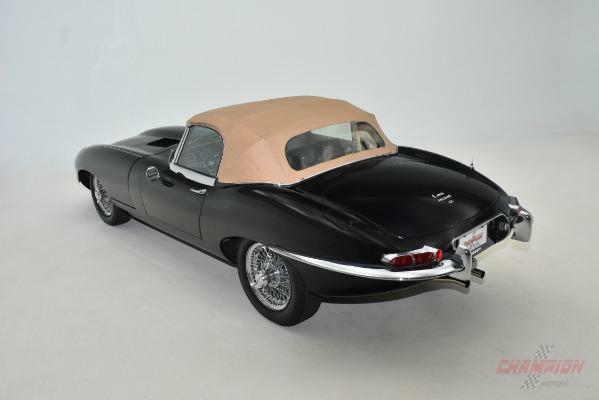 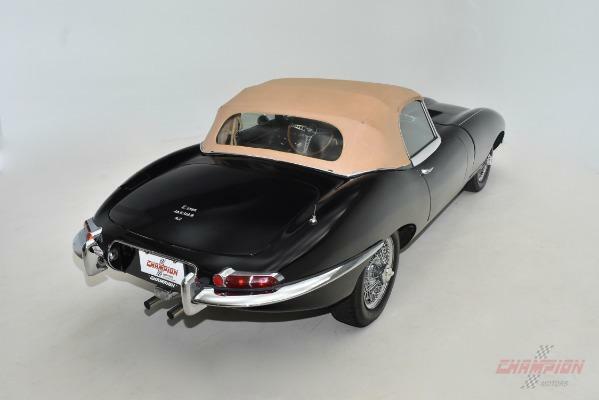 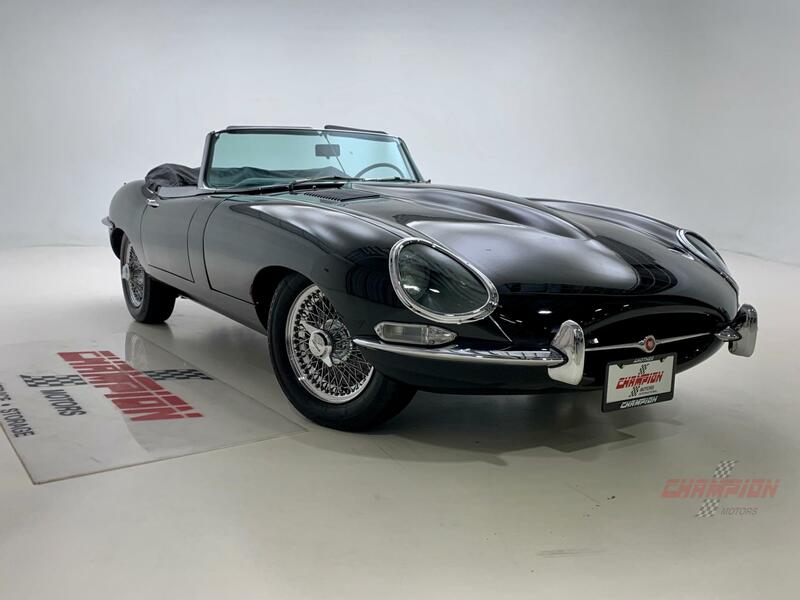 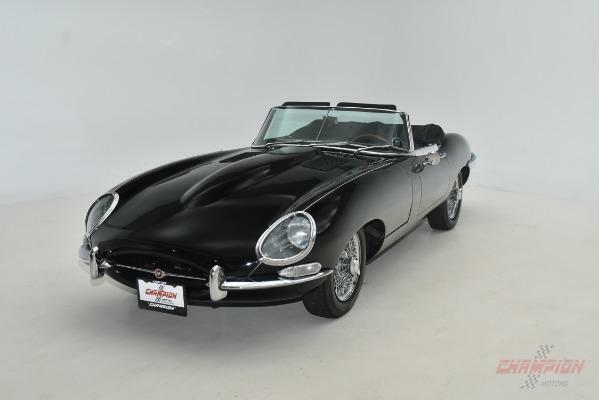 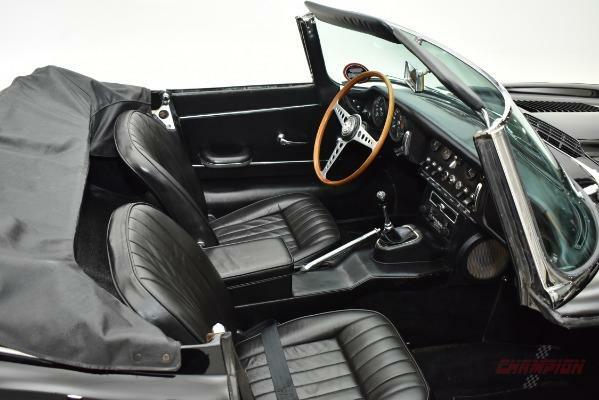 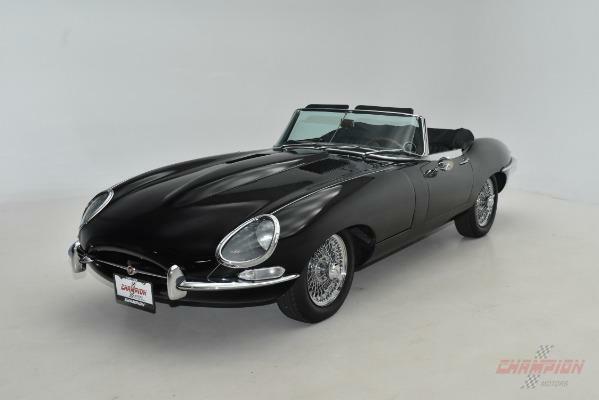 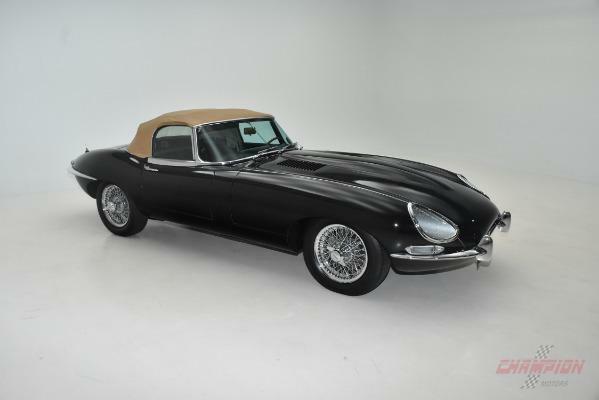 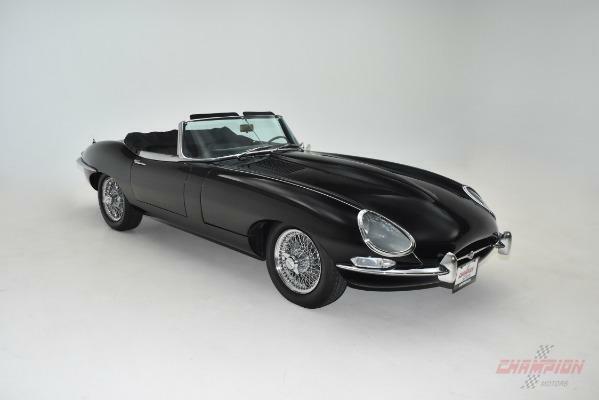 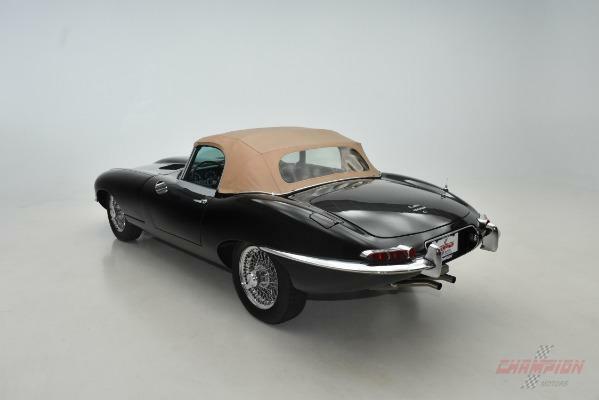 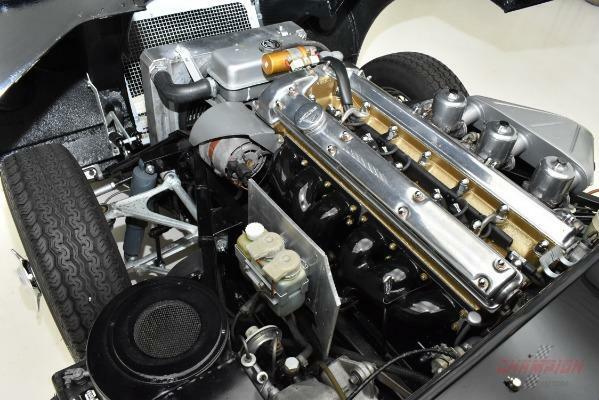 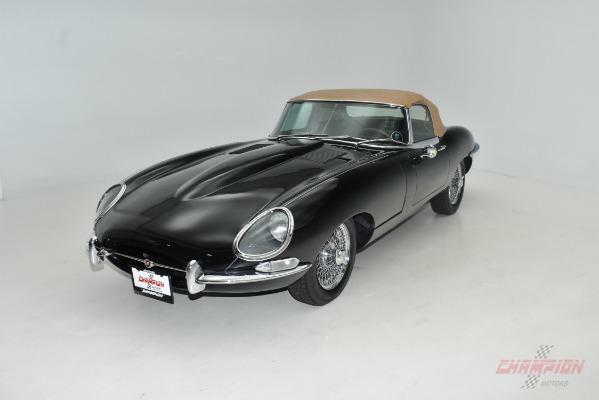 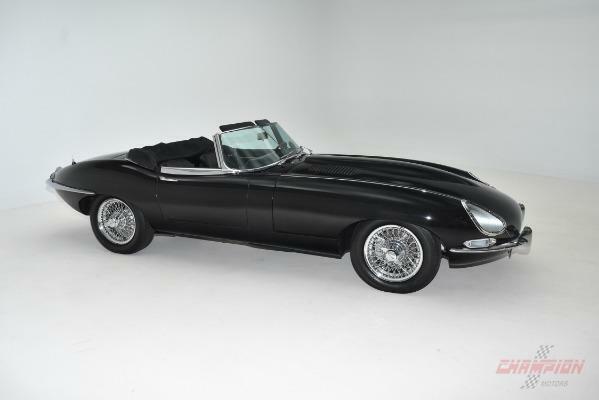 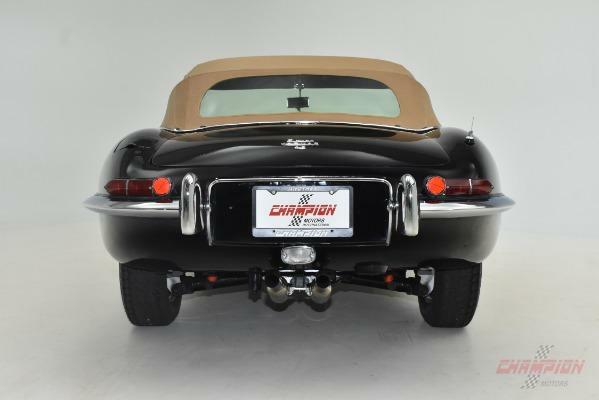 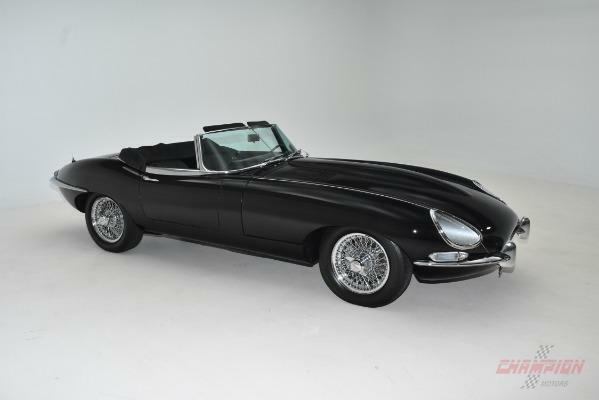 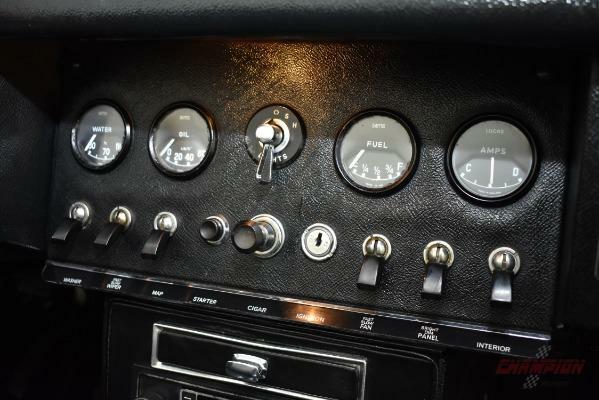 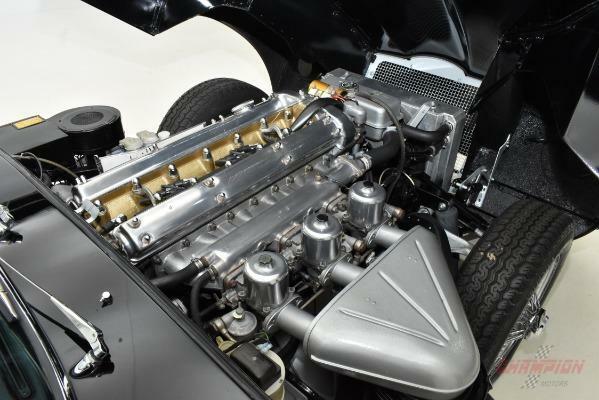 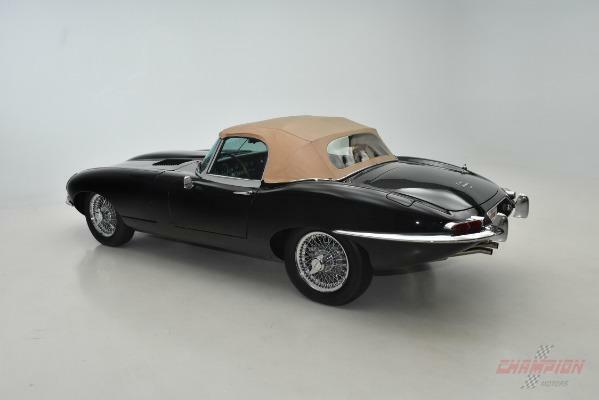 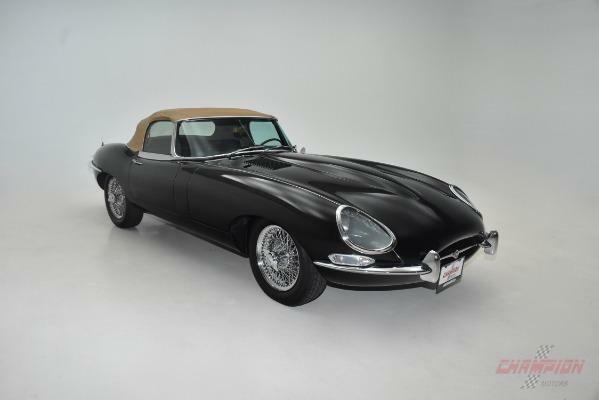 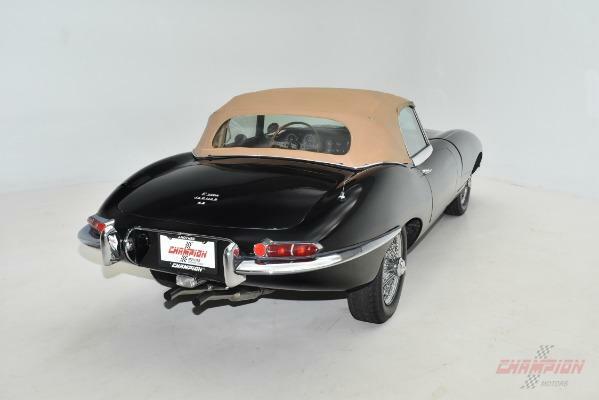 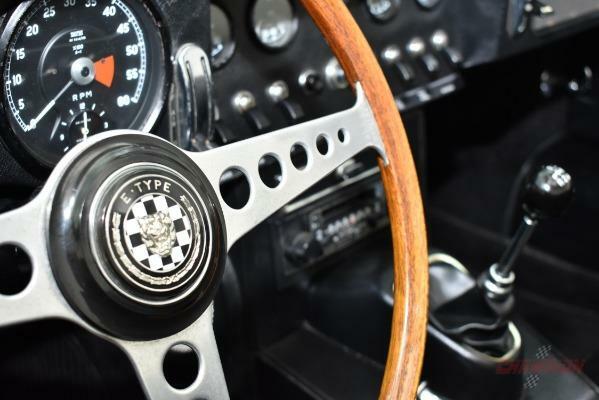 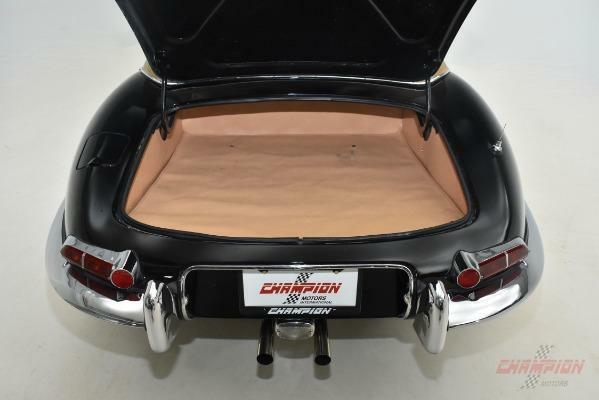 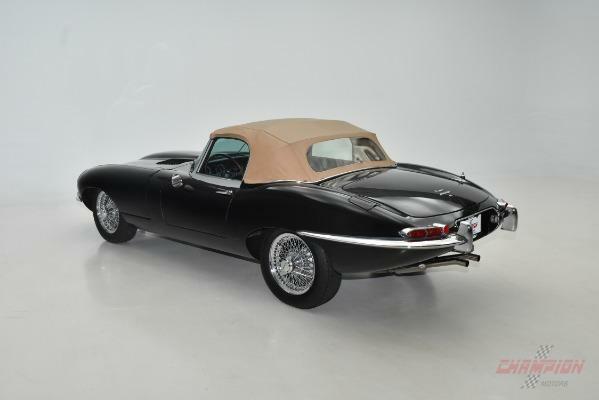 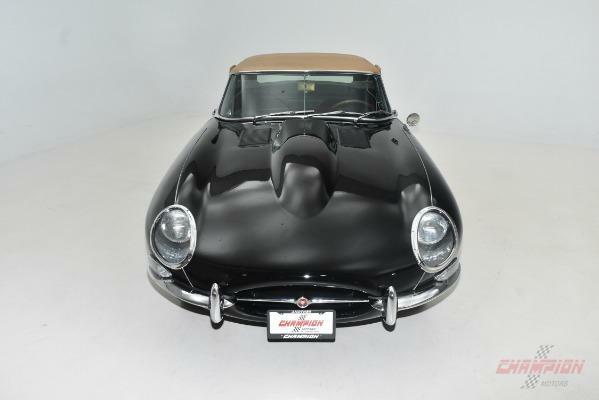 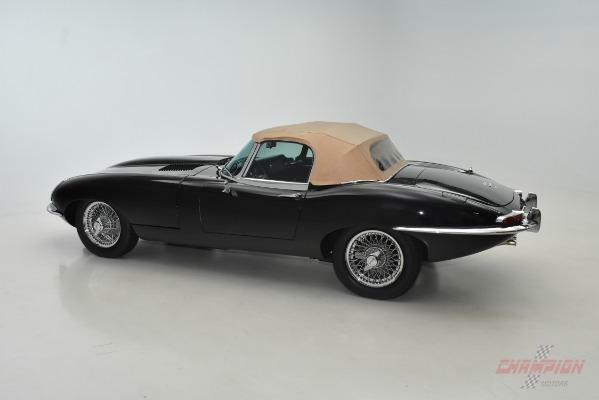 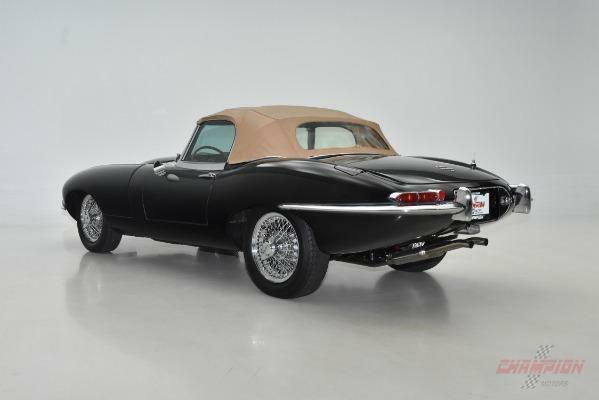 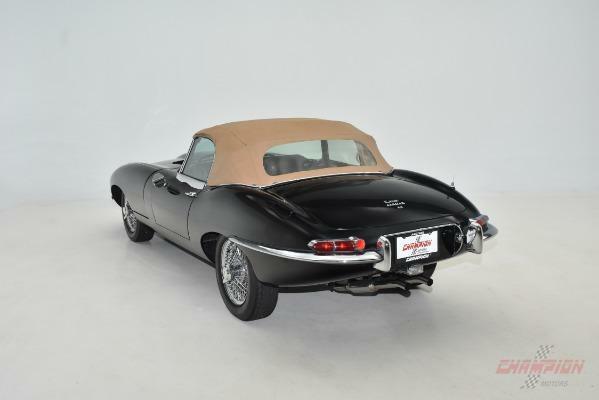 Champion Motors International is proud to offer this magnificent E-type that has been a well cared for example for its entire existence with only 3 prior owners. 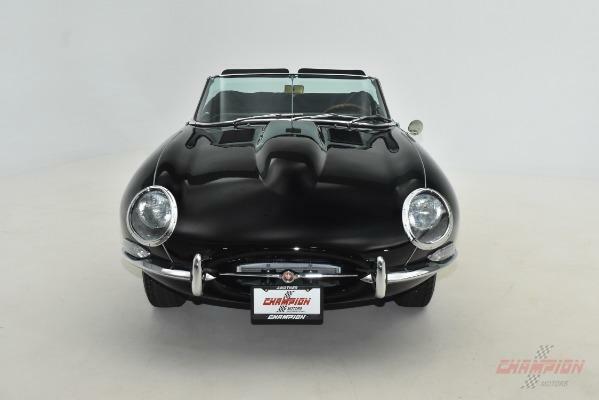 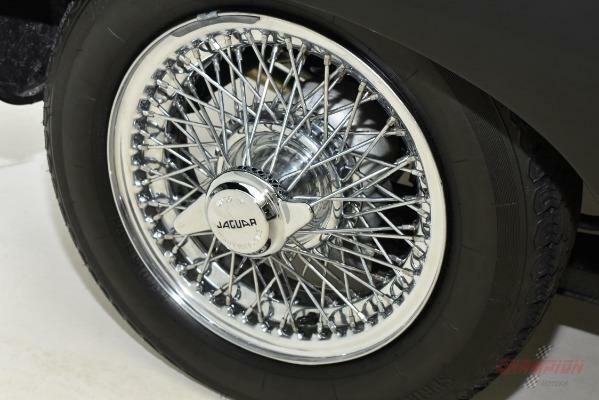 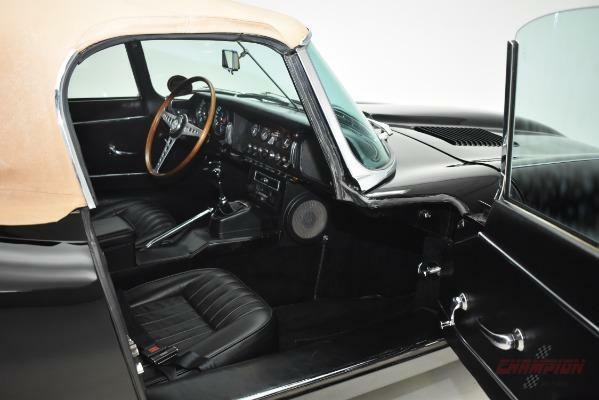 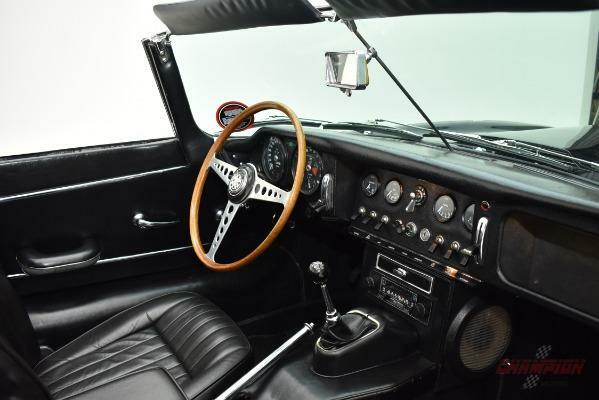 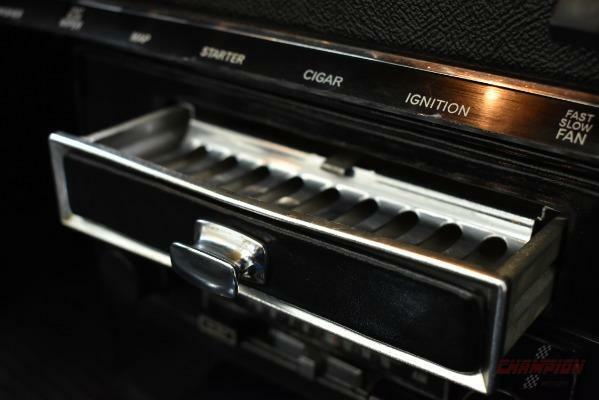 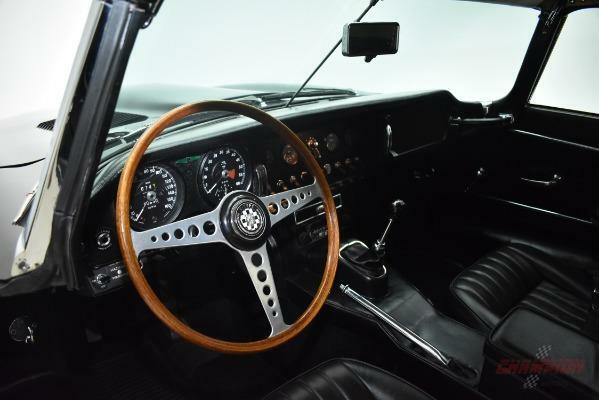 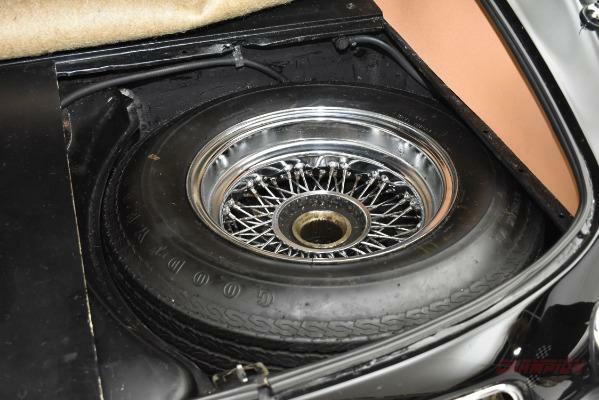 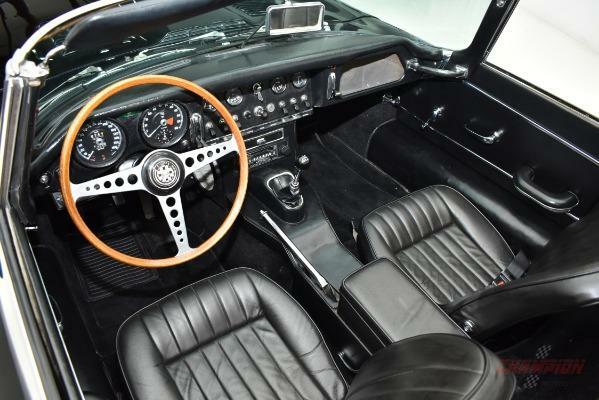 Dispatched from the Jaguar Factory on August 8, 1967, it was sold new to its first owner: a Mr. Jamisson, who purchased the car through The New York Distributor, but took delivery of the car at the Jaguar factory, returning it the the US a year later. 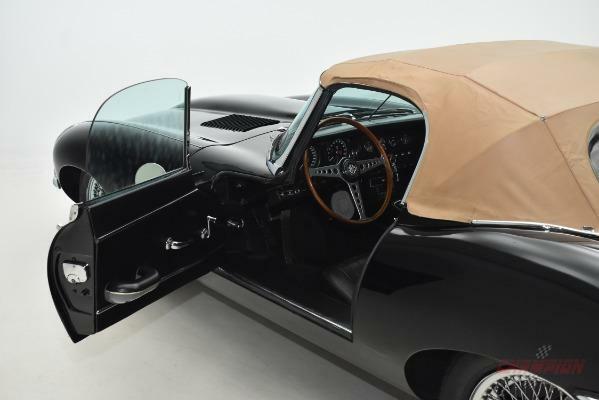 Several owners later in the early 2000's, it was treated to a sympathethic restoration that was freshened by Milestone Motorcars in 2015. 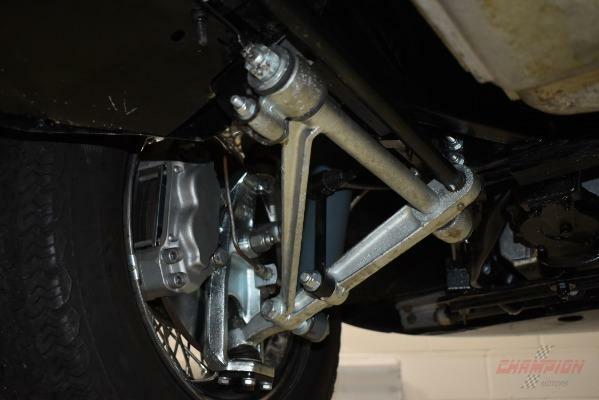 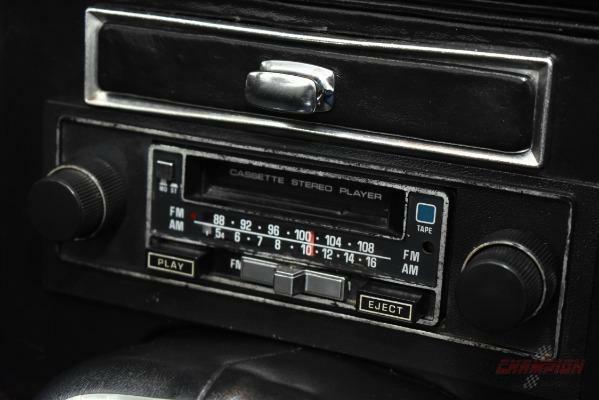 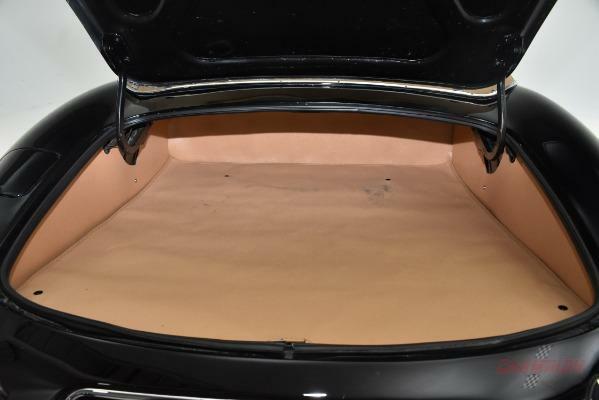 Much attention to detail and mechanical integrity was placed on the comprehensive service. 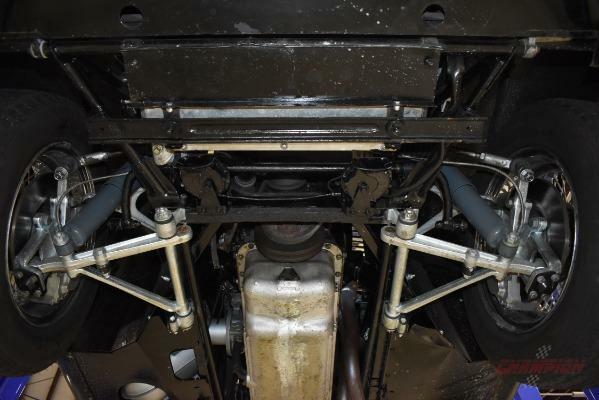 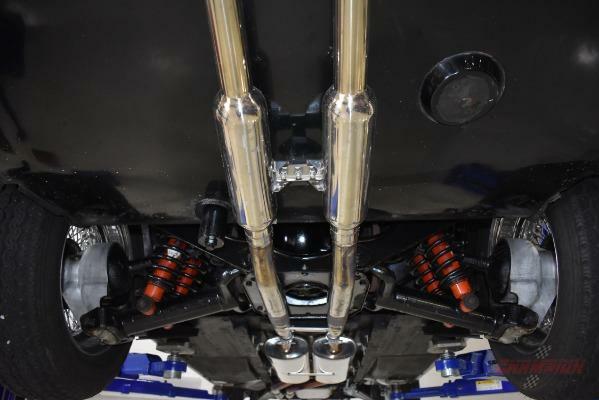 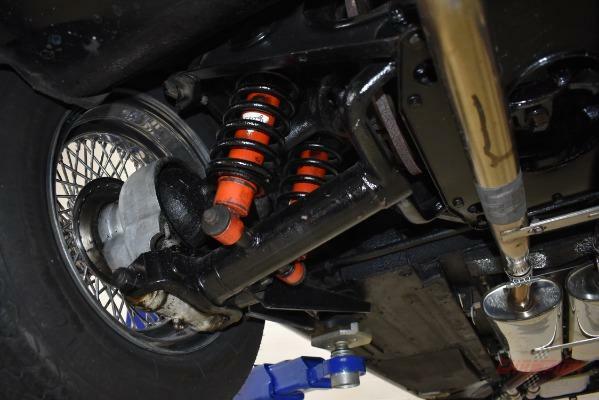 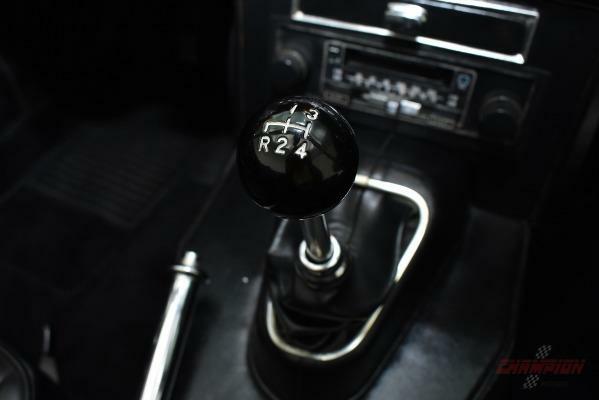 Some upgrades to the cooling system, suspension and ignition system were added to improve reliablilty and drivability. 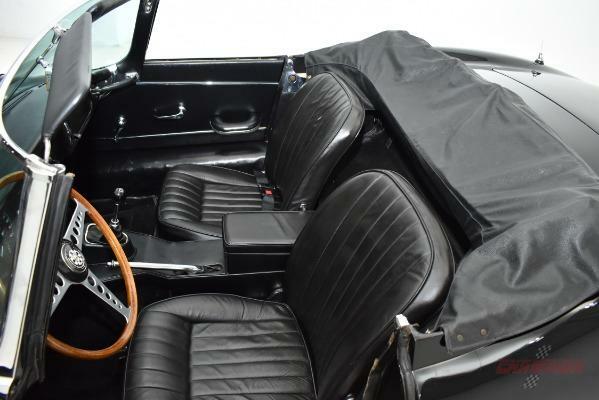 Striking in its black on black livery, this lovely example is complemented with its original jack and bag, original complete tool kit, manuals and pouch. 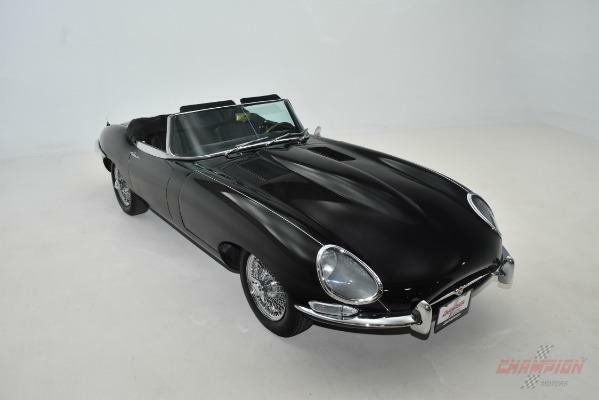 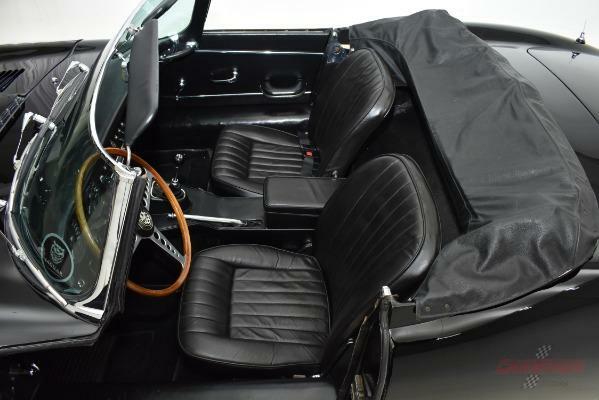 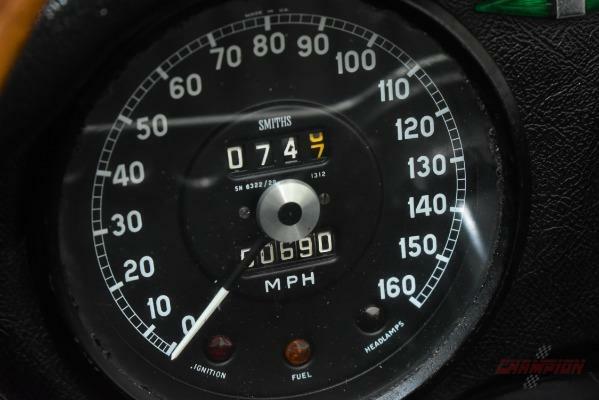 It is also an indisputable matching numbers example with corroboration provided by a Jaguar Heritage Certificate. 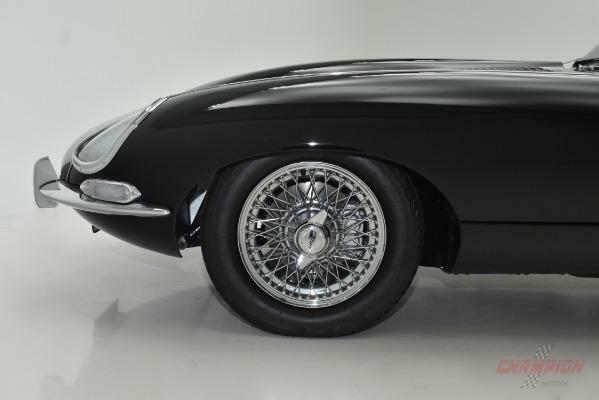 A pleasure to drive and to admire, this beautiful example is ready to be enjoyed.